Way to go Joe! 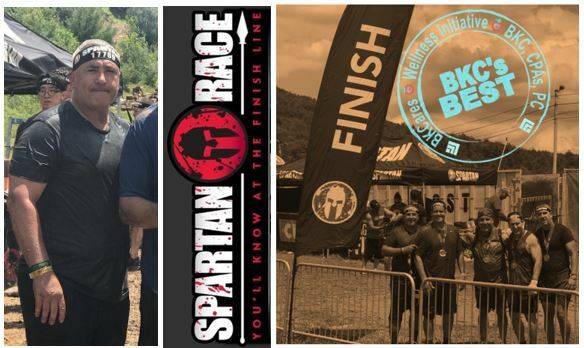 Joseph M. Carducci, CPA, PSA, Shareholder of BKC, CPAs, PC, participated with a team of good friends, or “fellow Spartans”, in the grueling 4 mile Spartan Race challenge with perseverance. Last weekend, more than 12,000 people competed in the 8 mile course with 25 obstacles including rope nets, climbing walls & flaming logs in Blue Mountain Ski Area. Since its founding in 2010, Spartan Race has been a partner in supporting a wide range of charitable causes, from multiple local military charities to organizations that fight childhood obesity and assist disabled athletes. These organizations include Homes for Our Troops, Green Beret Foundation, and Rod Dixon’s Kids Marathon Foundation, among many others.